A large bespoke two storey dwelling positioned on a steep site giving impressive views across Wiltshire. The external wall panels were constructed using a 140mm frame. Floors were formed using 240mm ‘I’ joists with a 22mm peel clean chipboard floor deck. 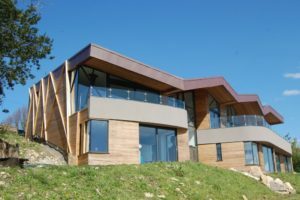 The large cantilevered roof was constructed using a combination of 245mm IWS joists and large glulam sections, all supported on numerous steel posts & beams. The open plan layout and large glazed elevations required a complex engineered package, our combination of timber frame and integrated steel members certainly achieved the desired end result. 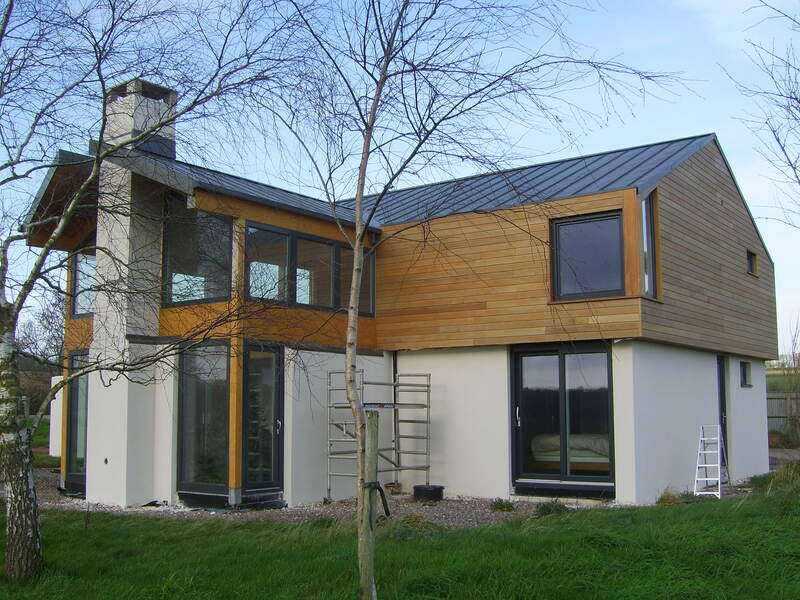 A Private dwelling over 2 storey’s comprising of open plan living giving endless views over the Devon countryside. The external wall panels were constructed using a 140mm frame. Floors were formed using 235mm softwood joists with an OSB3 sub-deck floor supporting the underfloor heating system above. The roof was constructed using loose cut rafters supported on large exposed visual grade glulam beams. The lounge contains a masonry chimney and log burning stove giving a focal point to the fully vaulted structure formed again using exposed glulam beams. A handrail to the upper floor provides a viewing gallery over this full height internal structure.